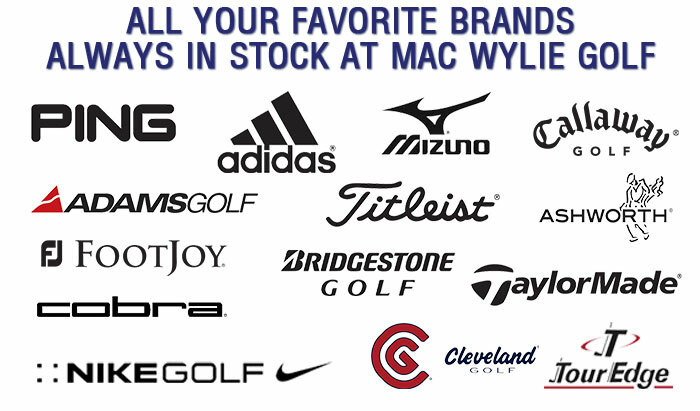 We stock all major brands of golf including Ping, Callaway, Titleist, TaylorMade, FootJoy, Adidas and many more. Our 2,000 square foot discount pro shop has the best prices in town on all your golfing needs including equipment, apparel and accessories; from spikes and balls to towels and socks. We also carry a large selection of logoed name brand apparel including shirts, shorts and caps. Our full line of equipment has something for everyone. If you just need some balls for the day or need a new bag or set of clubs, we can supply you with equipment of the best quality for a great price. Plus, we offer custom club fitting and club repair with a full line of grips in stock. Whatever your handicap or price range, we’ve got something for you!